So thanks to that article over at the Irish Times recently about all the Irish women writers you more than likely never heard of, I read about this book of stories by Bridget O’Connor and got hold of a copy. Actually there’s one story here that I’m pretty sure I DID read before, it’s called Harp. It says somewhere in the book that Bridget O’Connor won a Time Out writing competition so maybe that is where I read it. If I bought a copy of Time Out and there was a story in it, it would be the very first thing I read. No stress, no worries about when and where and how much is it in and who else would go with you, just do it. Yeah, I remember that story all right. I have a terrible memory for names but I remember faces, and rarely forget a good short story. And this Harp story is good. Won’t say the ending as that is the best bit. It reminded me of two things – Seamus Heaney’s poem in District & Circle about the tin whistle busker and also in a way, this video Noel Gallagher put out recently, with the awful director and the klepto thing going on – now where the hell will I find a link for that? Ah, OK, it’s on YouTube but there’s an ad so I left it there. The story is more fun anyway. 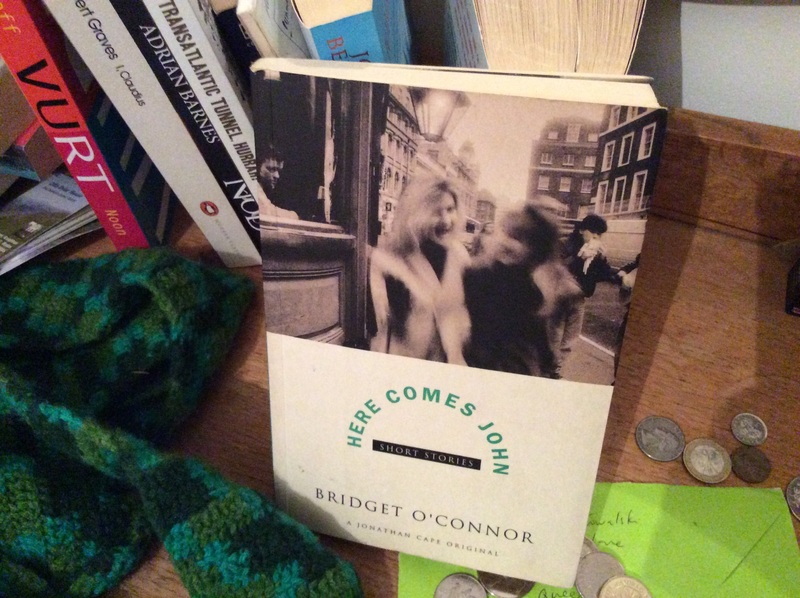 Harp, in Here Comes John, by Bridget O’Connor.